Beyond Space is a 3D shooting game where you take control of a spaceship. 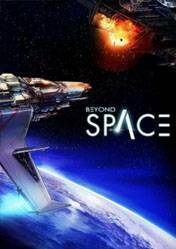 Beyond Space gets immerse players in a turbulent universe, full of wars and dangers. The graphics are bright, highlighting the beauty of planetary systems, nebulas and asteroid fields to explore, spectacular special effects, and glows, lights, flares and reflections are very well made. All this coupled with an elaborate soundtrack. We will be Max Walker, an adventurer and pilot salary, or bounty hunter, who gets drawn into a galactic conflict. The game has components of the RPG genre, because as we go on our adventure we keep improving the ship, buying new ships, equipping and arming them with better shields and afterburners, all in order to repel any danger that may appear in our missions. There are no comments yet about Beyond Space . You can be the first one!